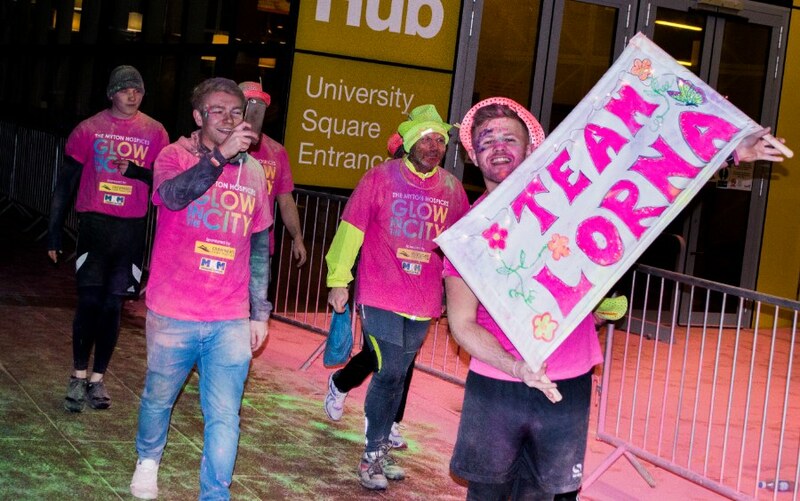 After the sun has set over Coventry on Saturday 30th March, hundreds of fundraisers dressed head to toe in neon will descend upon the city centre to Glow for Myton! Due to the popularity of the event we have now sold out of our t-shirts and bags. 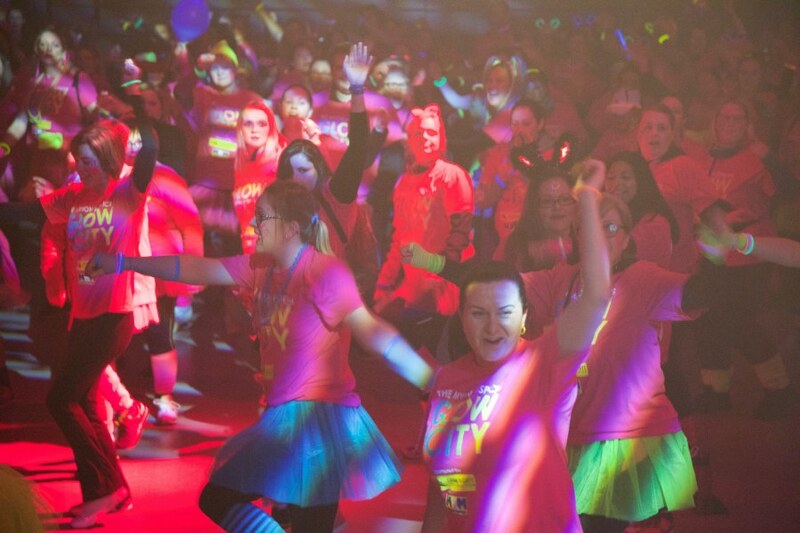 However – if people do wish to sign up on the night, they can do this for £15. 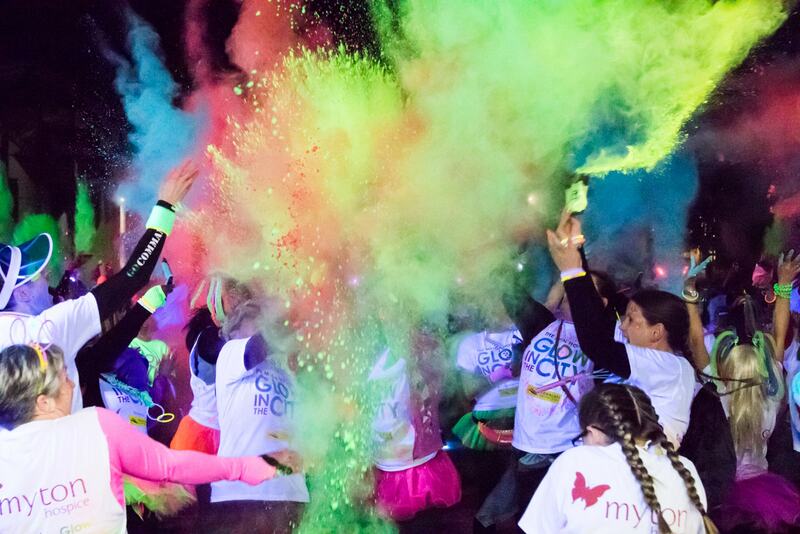 For this they will receive one of last years’ t-shirts as well as powder paint and neon face paint. 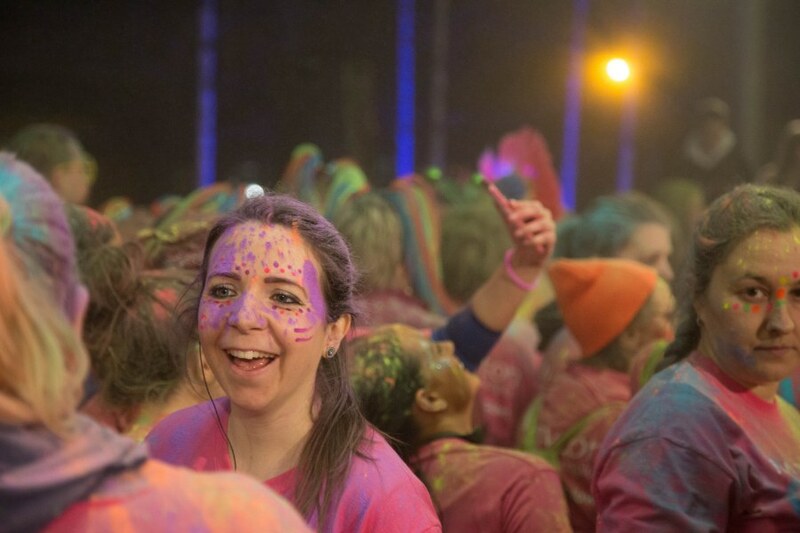 Check-in is from 7:30pm this Saturday at University Square and we would love to see you there! 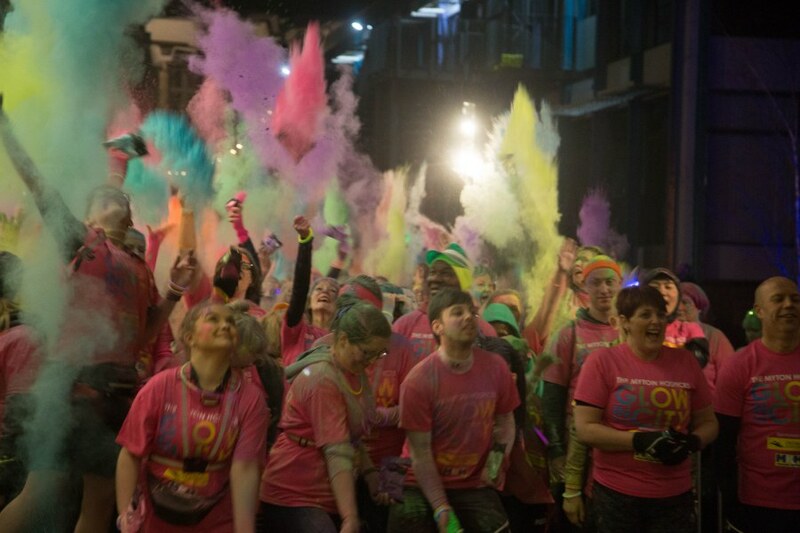 Coventry will be lit up by people walking, dancing and jogging 5k around the city centre! 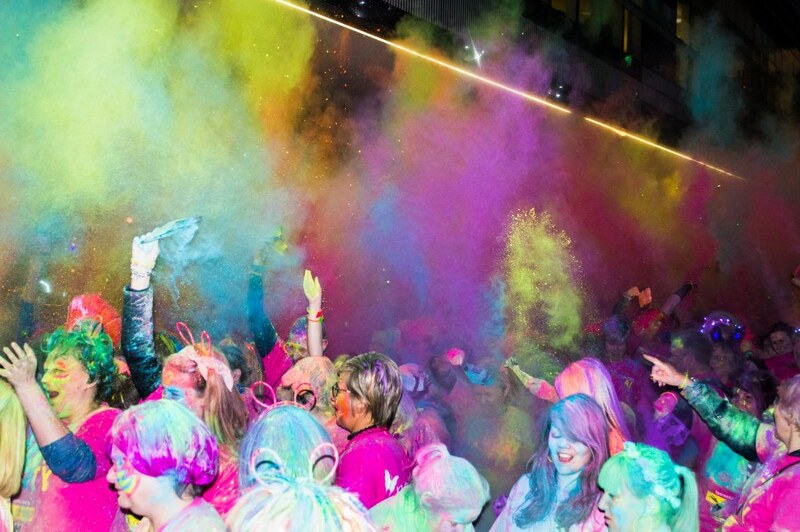 Featuring neon powder paint, a UV bubble tunnel, Zumba warm up led by Matt Print, an international DJ and much more! 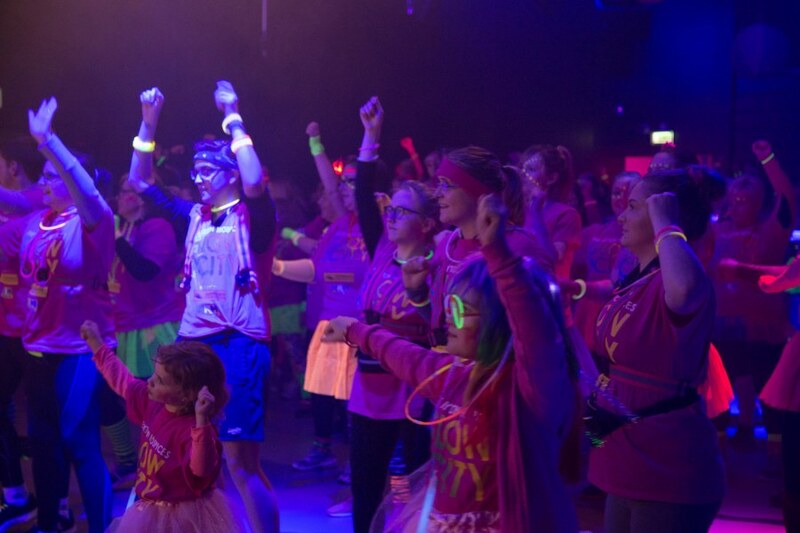 What could be better than having a night out with friends and family, all while raising money for The Myton Hospices. 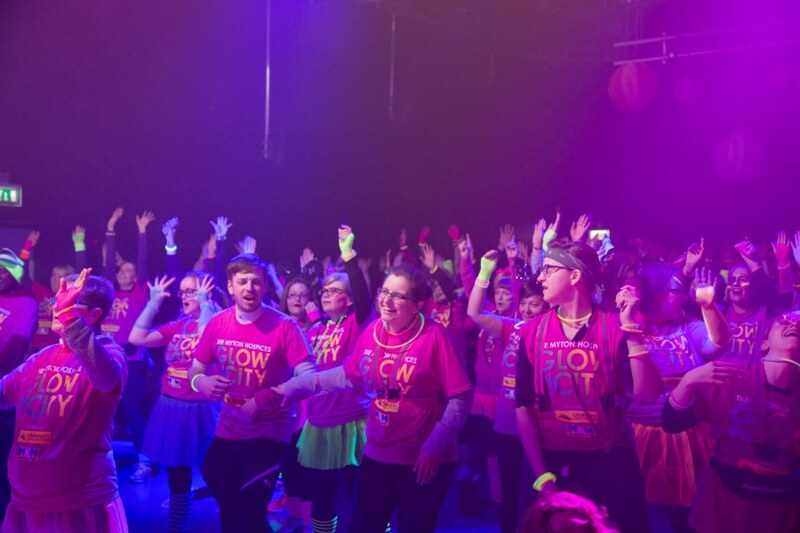 We want to raise £61,000 in sponsorship at this event which will help ensure Myton can continue to provide its services free of charge to people with a terminal or life limiting illness, and their families, when they need us most. 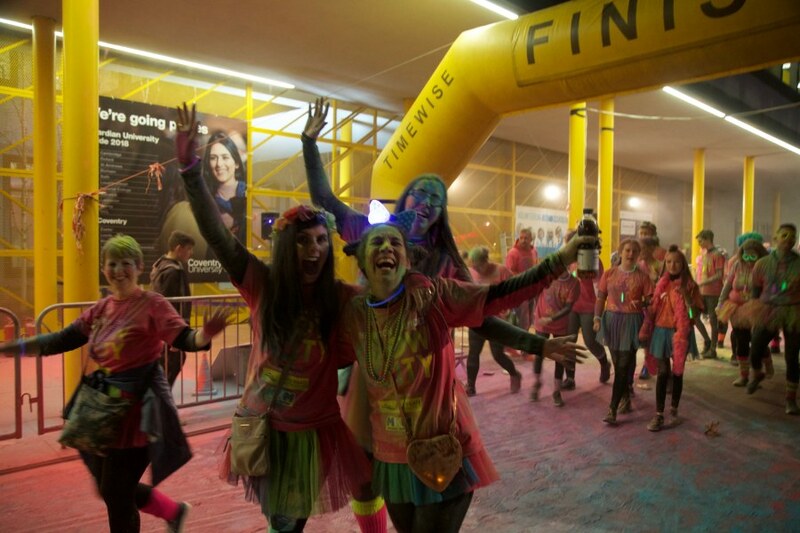 Starting at University Square, you will set off through the city at 9pm and party your way around the route. We may not be able to bring the weather in Ibiza to Coventry, but we can bring the party! 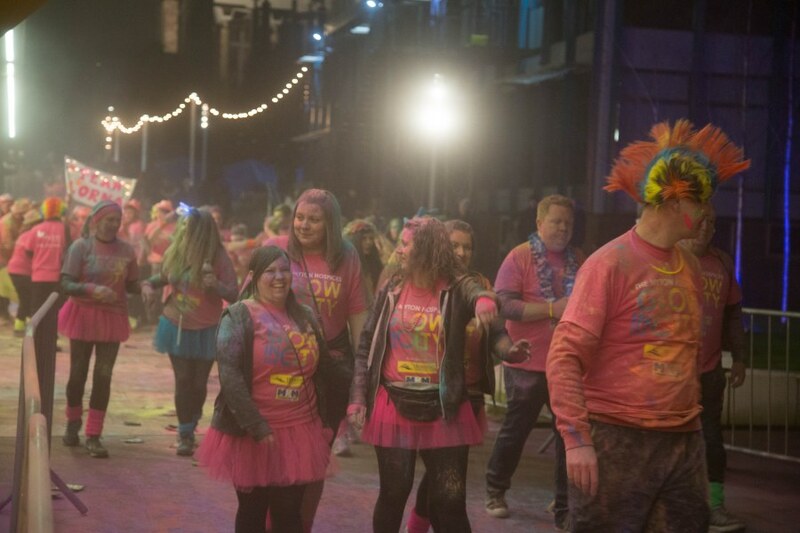 Once you return to University Square you can join the after-glow party and dance into the night! 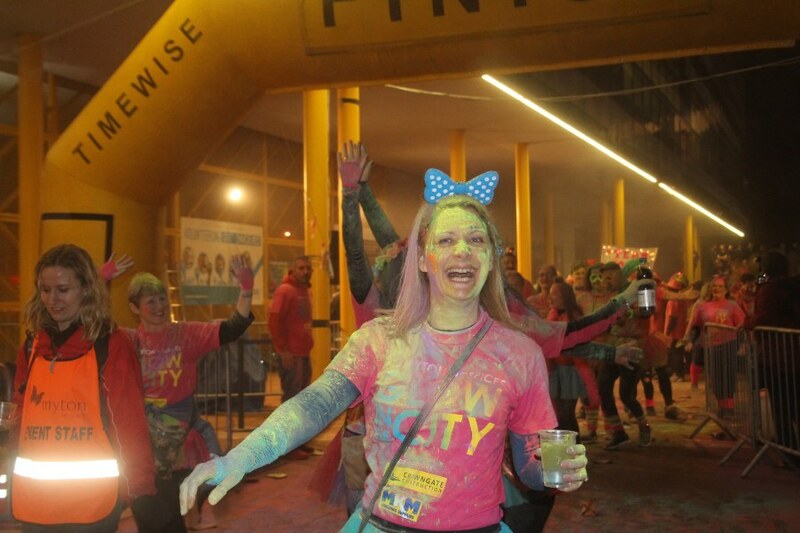 Don’t worry about how quickly you make it around the route as it isn’t a timed event – but if you want to set yourselves a target we are more than happy for you to challenge yourself. 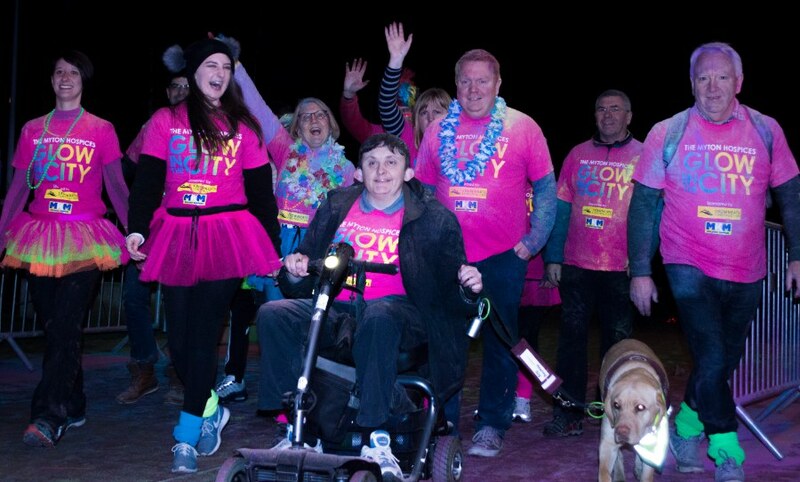 This event is one everyone can get involved with; the route is wheelchair friendly, so everyone can soak up the party atmosphere, and it’s all for fun! 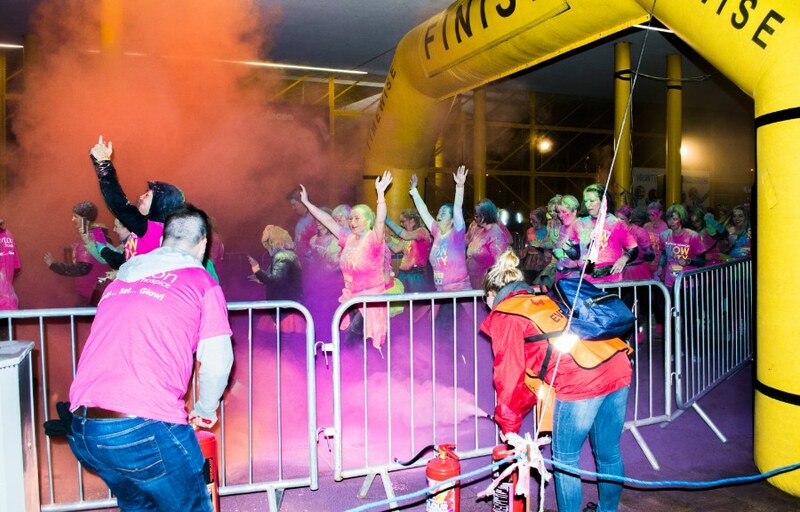 You can walk, jog or dance the 5k route at your own leisure – this event is not a race and you won’t be timed so enjoy yourself! 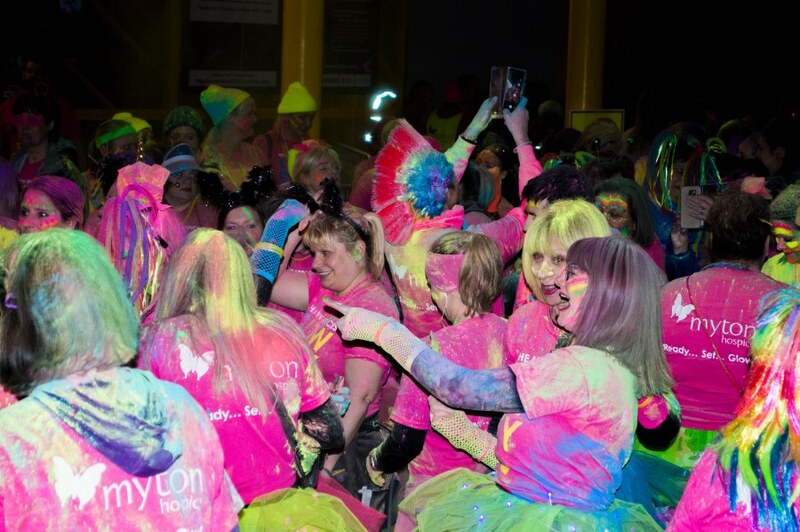 This year your glow packs will include a bespoke Glow for Myton t-shirt, glow sticks, UV face and body paint, and a back sign. You will be able to pick your glow pack up at the pre check-in event, or when you check-in on the night. 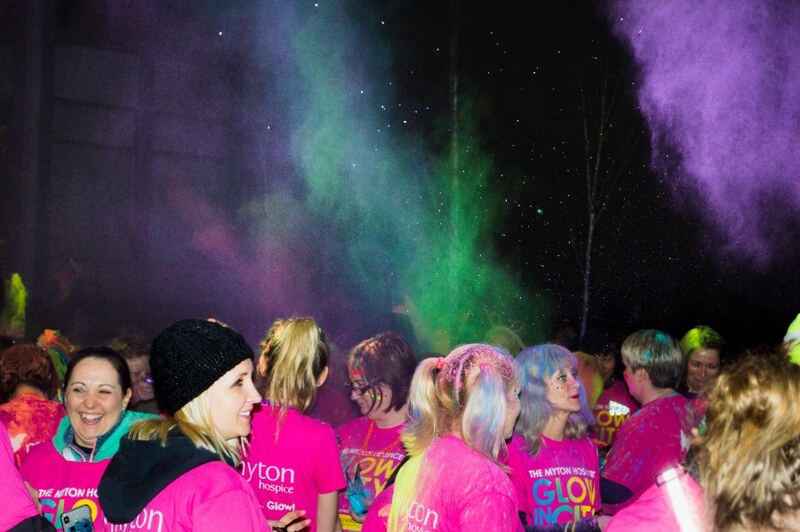 Everyone who takes part will also receive a bespoke Glow for Myton drawstring goodie bag! If you have already checked-in at the pre check-in event you don’t need to check-in on the night. 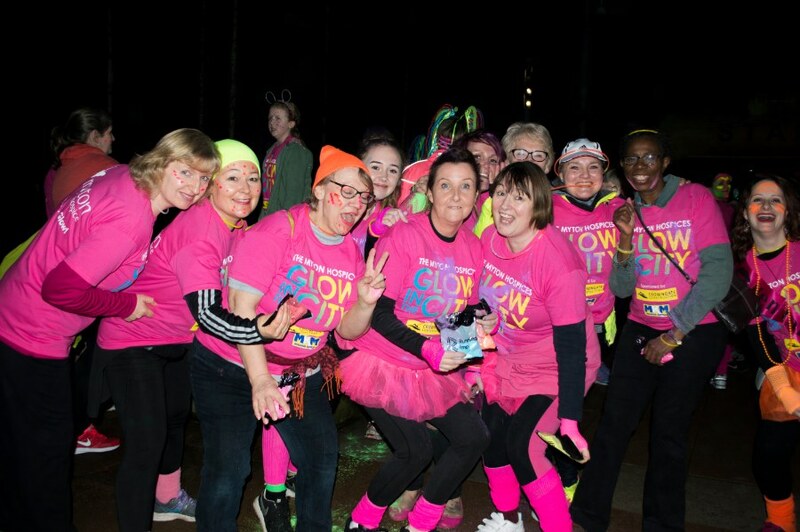 We will be organising a pre check-in day from 10am to 2pm on Saturday 23rd March at Coventry Myton Hospice (CV2 2HJ) so you can pick up your glow pack up in advance of the event; this means you won’t have to check-in on the night itself. 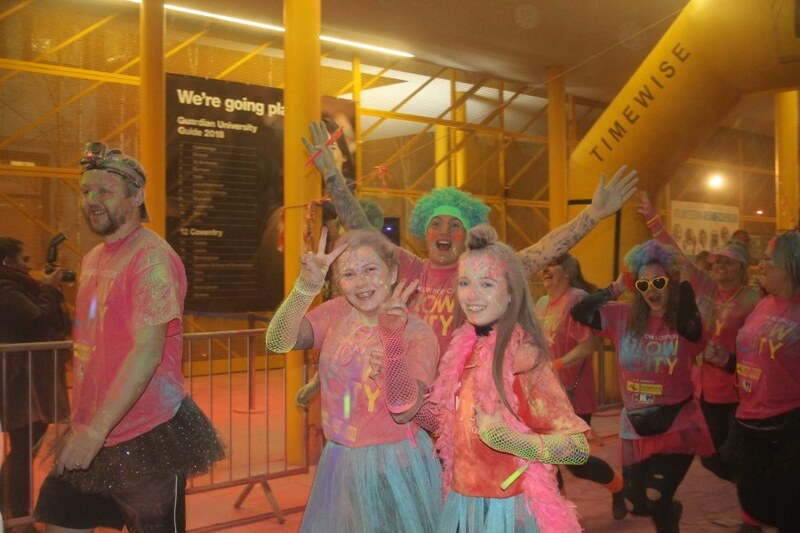 We will also be selling some additional merchandise for the night, to ensure everyone looks and feels glow-tastic! There will be portable toilets available in University Square. 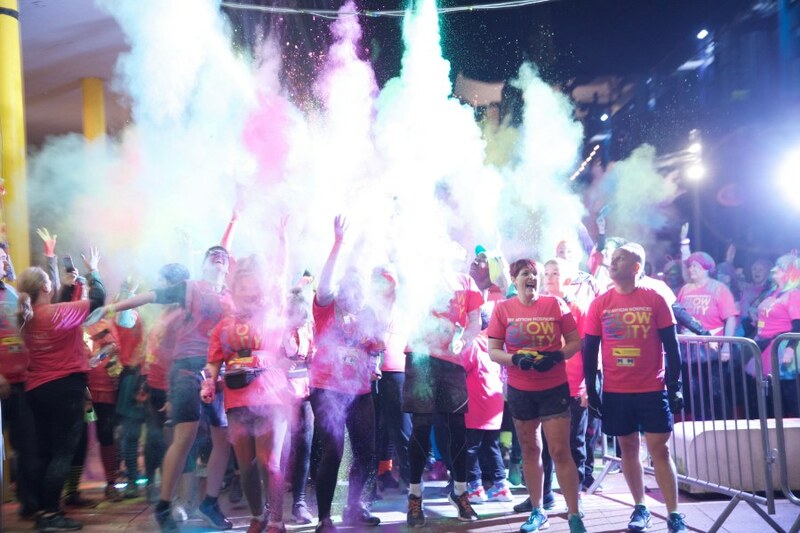 There will be a variety of catering stalls in University Square selling delicious food and drinks before and after you make your way around the 5k route! If you are feeling unwell or need first aid please call the events team mobile: 07599 752835. Warwickshire Ambulance Association will be on hand to deal with any incidents. 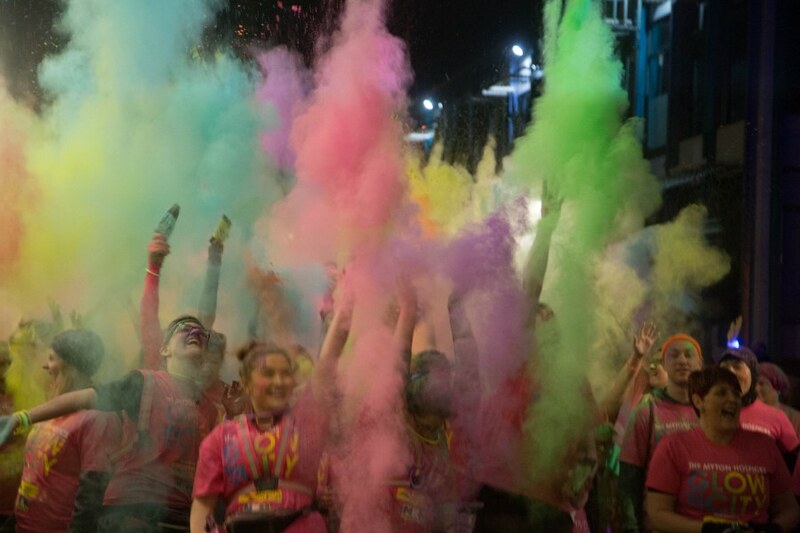 Please be aware that the event takes place at night and next to some main roads, so please take care along the route and make sure you are aware of your surroundings. In the event of an emergency do not hesitate to call 999. 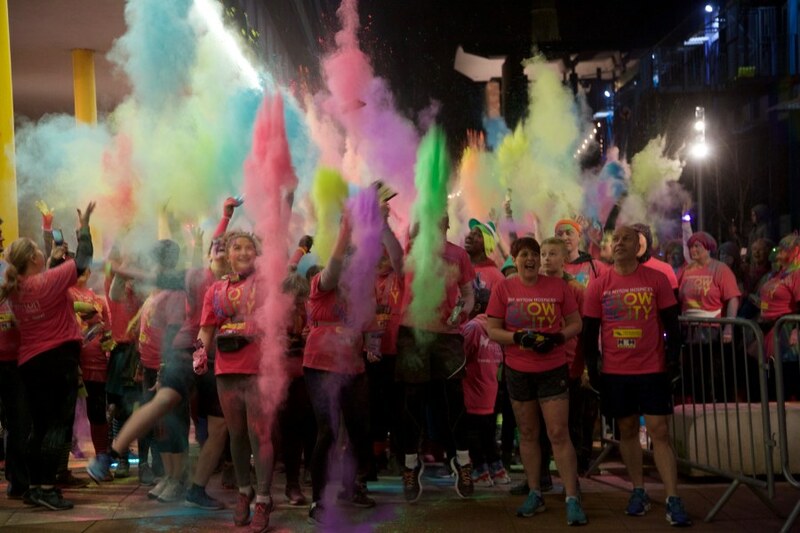 The route is 5k and incorporates Coventry city centre. 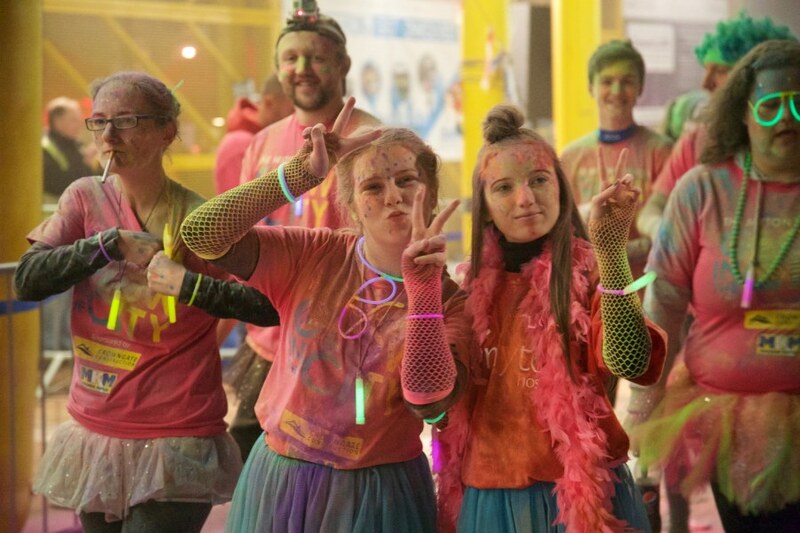 Along the way there will be some exciting glow zones waiting for you! 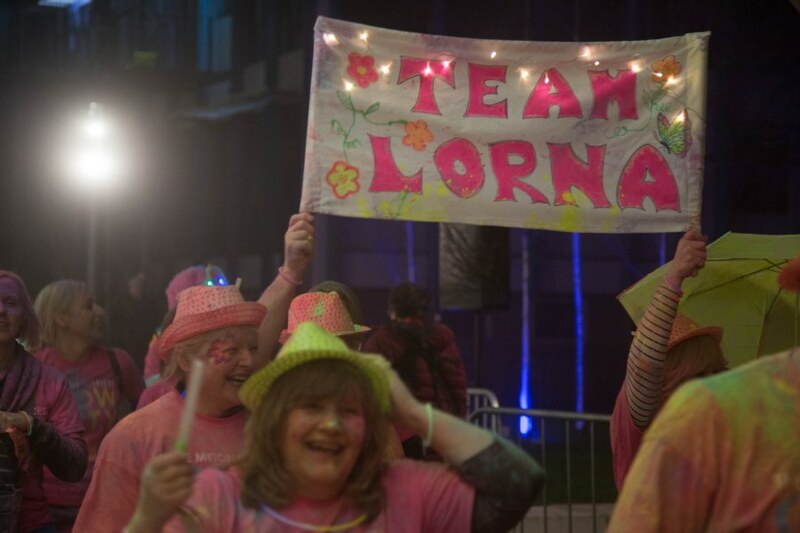 There will be fluorescent signage around the route, along with our lovely volunteer marshals who will be cheering you along! 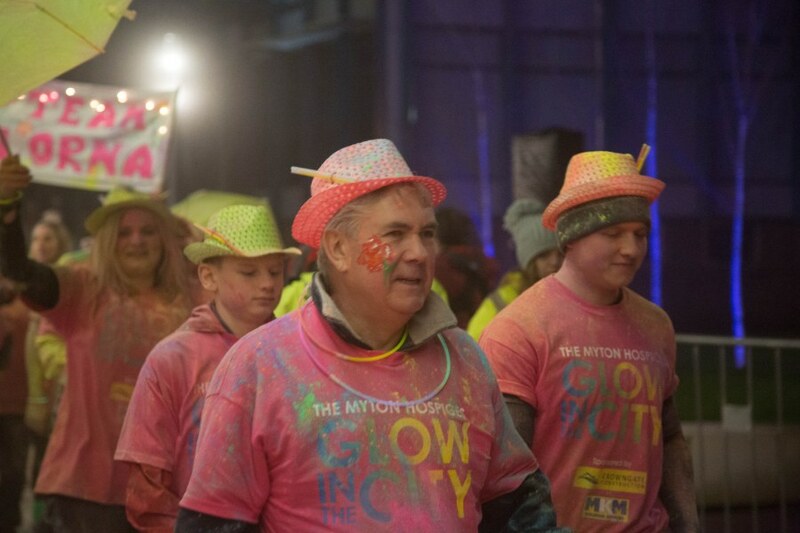 Your entry fee for this year's Glow for Myton will cover the cost of hosting this event but we rely on your sponsorship to help reach our £61,000 total for this event! 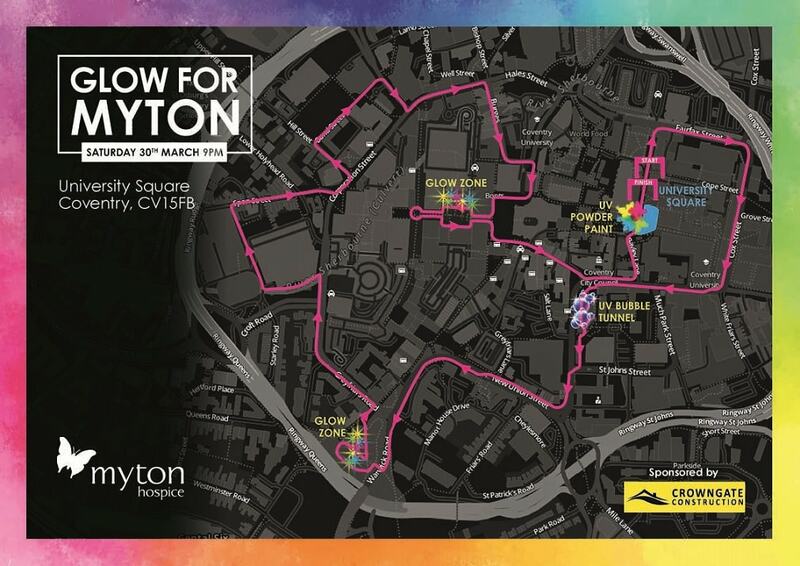 To create your JustGiving fundraising page which will automaticly be linked to our Glow for Myton campaign please click here or the button below. Mandy Kinsey was on holiday in Benidorm with her sister when she found she was having trouble breathing. Her daughters Dani and Cheryl wasted no time in flying out to their mum when they found out she was unwell. But when they landed in Spain, they were given the devastating news Mandy had Stage 4 Lung Cancer. 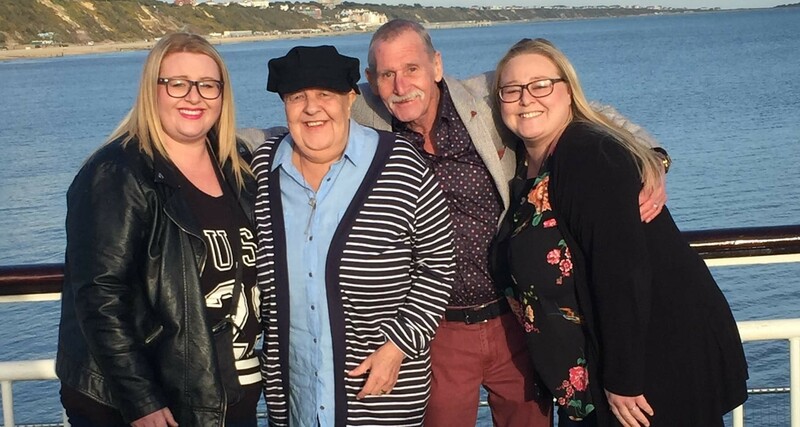 Once they were back in England, the family were told Mandy had just weeks to live unless she started treatment for the cancer, but the treatment was unlikely to cure it. She began chemotherapy and in January 2017 was told the treatment had shrunk the majority of the tumours. But just a month later another scan revealed she had a secondary cancer on her brain and spine. Mandy had already moved in with Cheryl, and Dani was at the house with them most days. Mandy was able to have radiotherapy to try and reduce the brain tumours, and her daughters were close by throughout. 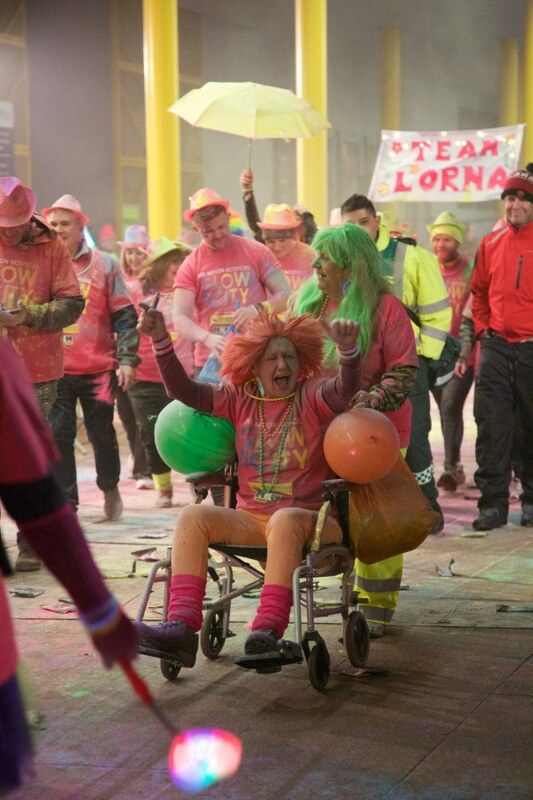 In June Mandy had a seizure and was admitted to University Hospital Coventry and Warwickshire. She spent five days in hospital but asked if she could be referred to Myton. Mum had said she didn’t want to die at my house so we didn’t have that memory, and she did not want to die in the hospital. And this is how amazing Myton are – less than 24 hours after the nurse and Consultant contacted Myton, there was a bed for her. Mum woke while we were in the ambulance being transferred to Warwick Myton Hospice and I was telling her ‘we’re going on holiday to Myton!’ She just gives us a big thumbs up and proper chuffed smile. As soon as they walked through the front door at Warwick Myton Hospice the whole family felt a sense of calm. They were able to stay in our family accommodation on site to be close to Mandy. She soon came round and although she couldn’t talk, she was able to sign to Cheryl and Dani that she loved them – something which they said was ‘perfect’. She did not like it in hospital, she looked uncomfortable and had a screwed up face, but at Myton she seemed very at peace. A few days after being admitted to Myton, Mandy’s condition worsened and her daughters knew they didn’t have long left with their mum. They sat either side of her bed, holding her hand and listening to her breathing through her final hours. And when they were ready to leave her side, the nurses were ready and waiting to hold their hands. Your sponsorship will enable Myton to help more people like Mandy and her family when they need us most.